It all started when theological students from Oxford and Cambridge University whilst studying at Auckland Castle, home of the Bishop of Durham in Bishop Auckland; formed a team known as Bishop Auckland Church Institute in 1882. 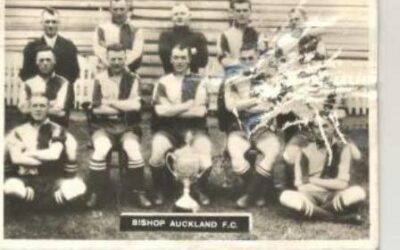 A later dispute caused a breakaway team called Auckland Town to be formed in 1886/87 and it was from this upheaval that Bishop Auckland Football Club was eventually born. Eight days after its formation, the club chose royal blue with white facings and subsequently the light and dark blue colours of the original Church Institute representing the colours of Oxbridge. 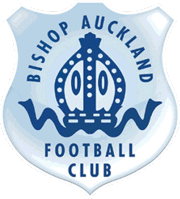 Auckland Town were founder members of the Northern League in 1889 but left after its first season before returning as Bishop Auckland in 1893. Between 1893 and 1988, the club won the league championship a record 19 times. The first championship was claimed in 1898/99 with the club going unbeaten in their league campaign, winning nine and drawing seven of their sixteen league matches. 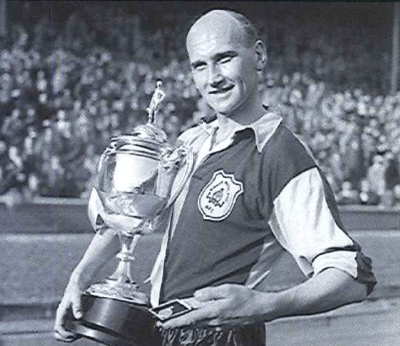 The most successful period in the Northern League came between 1947 and 1956 when the team never finished below second place. During this period they were champions seven times and runners-up on three occasions. Following the tragic Munich air crash of 1958, three Bishop Auckland men went to assist Manchester United. They were Derek Lewin, Warren Bradley and Bobby Hardisty, who all played in United’s Central league side in March that year. 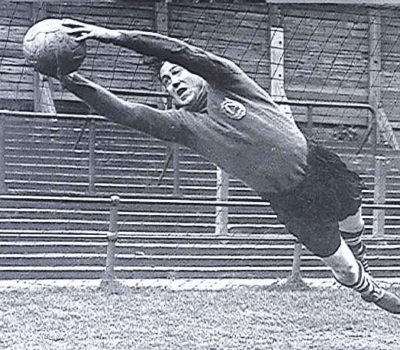 Bradley (an England amateur international) not only became a regular in United’s 1st team but also went on to play at full international level. In the FA Cup the Bishops had memorable fights against Preston North End, Burnley, Wolves, and other league clubs. 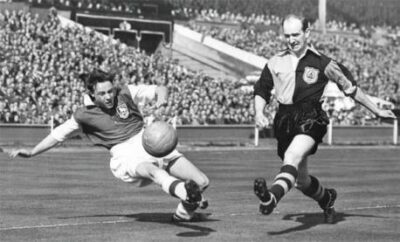 The best run in the competition was in 1954/55 when, after beating Kettering Town 5-1 (Home), Crystal Palace 4-2 (Away) and Ipswich Town 3-0 (home) after a 2-2 draw in East Anglia, they were defeated 3-1 by York City in a thrilling 4th round replay. In the FA Amateur Cup, the Bishops’ record was without equal. They were in the final 18 times, winning the cup on ten occasions including a record three times in a row in 1955, 1956 and 1957. The Club were also semi-finalists on 27 occasions. When the (Amateur Cup) competition ceased in 1974, the Club was presented with a replica of the trophy in recognition of its outstanding record. In 1988, almost a century after first joining the Northern League the Club decided to enter the non-league pyramid system via the Northern Premier League (NPL). The Bishops’ would spend 18 seasons in the NPL before returning to the Club’s Northern League roots in 2006. Off the pitch the Club formed itself into a limited company in 1997 but the key issue as the 21st century dawned was the Club’s intent to move from its old home at Kingsway to a new site at Tindale Crescent on the outskirts of Bishop Auckland. Although the ‘move’ had been initially mooted in 1993, by the end of 2001 the Club was no nearer to achieving that objective and at the end of the 2001-02 season the Club finally left its spiritual home, and ground shares at Shildon, Spennymoor and West Auckland followed. The Club continued to pursue its objective of getting to Tindale Crescent and obtained the maximum Football Foundation grant of £250,000 in 2004. In conjunction with national blue chip developer Terrace Hill the Club finally obtained planning permission for the new ground in November 2008. The new ground named Heritage Park was built for the Club by Terrace Hill and was an integral part of a massive regeneration project.